In 1971, our legendary coach, the late George Allen, consulted with the Red Cloud Athletic Fund located on the Pine Ridge Indian Reservation in South Dakota and designed our emblem on the Redskins helmets. Red Cloud Indian School just issued this letter completely denying that ever happened and denouncing the name. The controversy around the name of Washington’s football team—the “Redskins”—has escalated in recent weeks. This week, Redskins owner Dan Snyder released a public letter defending the name and referencing the “Red Cloud Athletic Fund located on the Pine Ridge Indian Reservation” as a consultant on the design of the team’s emblem. In the 1960’s, George Allen teamed up with Paul “Dizzy” Trout and others to create the Red Cloud Athletic Fund in Illinois. It was a generous, independent entity that worked to support athletics at Red Cloud Indian School at one time and benefited hundreds of our students. 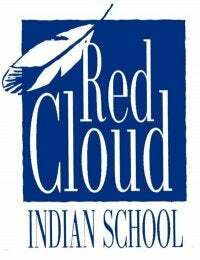 However, Red Cloud Indian School was not involved in conversations around an emblem for the Washington Redskins football team. As an organization, Red Cloud Indian School has never—and will never—endorse the use of the name “Redskins.” Like many Native American organizations across the country, members of our staff and extended community find the name offensive. Although we were encouraged to hear that National Football League representatives met with the Oneida Nation to discuss the name’s derogatory nature, more must be done. We call on Dan Snyder and managers to engage in further discussion with Native groups across the country and, ultimately, to move toward changing the name, once and for all. Today, a major part of Red Cloud Indian School’s mission is to honor, celebrate and protect Lakota culture through our K-12 Lakota language curriculum, our Lakota studies program, and our support of Lakota artists through The Heritage Center. We stand against any abuse or appropriation of Native history, culture or heritage—and we believe the use of the name “Redskins” falls into that category. Swing and a miss, Snyder.